Sen. Ben Sasse (R-Neb.) 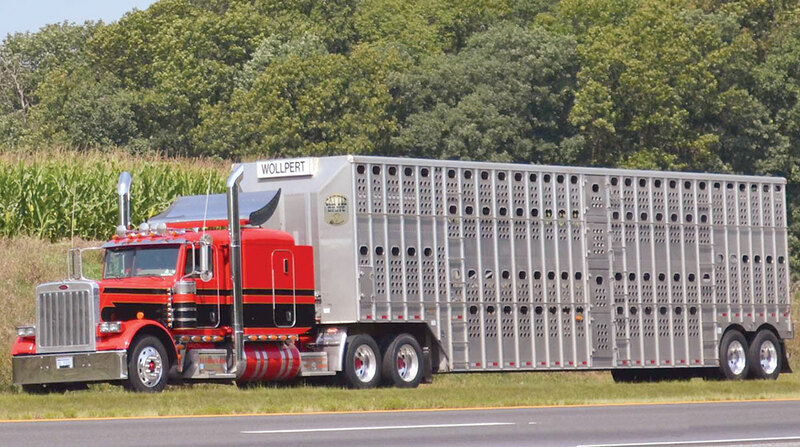 led a group of fellow lawmakers in introducing the Transporting Livestock Across America Safely Act to the Committee on Commerce, Science and Transportation on May 23. Introduced as S. 2938, the legislation states that HOS and ELD requirements would take effect only after a driver travels more than 300 air miles from his or her source. Current law mandates that drivers turn on their ELD devices after they cross a 150-air-mile radius. The purpose of HOS laws is to manage the amount of time drivers are on duty. The 14-hour driving window says drivers are allowed a period of 14 consecutive hours in which to drive up to 11 hours after being off-duty for 10 or more consecutive hours. Under S. 2938, these requirements would be shifted to a minimum of 15 hours and a maximum of 18 hours of on-duty time. Alongside Sasse, the bill’s co-sponsors were: Joni Ernst (R-Iowa), Heidi Heitkamp (D-N.D.), John Hoeven (R-N.D.), Doug Jones (D-Ala.), Jerry Moran (R-Kan.), Rand Paul (R-Ky.), Pat Roberts (R-Kan.), Marco Rubio (R-Fla.), Tina Smith (D-Minn.) and Jon Tester (D-Mont.). We should not prioritize livestock over people’s lives. Bill Sullivan, who leads advocacy for American Trucking Associations, advised against the legislation. He said such a law would be dangerous for truck drivers and all motorists.